This beautiful outdoor wall art is printed using some of the finest inks and includes the following colors: Dark Green, Forest Green, Orange and Cream. It is printed on 80# coated paper and has a matte finish. The actual paper size has dimensions of 8″ x 10″. 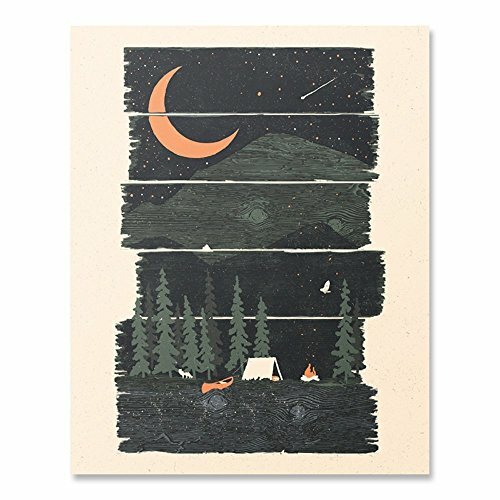 This starry skied forest print is a great gift for all nature lovers and comes packaged in a clear plastic sleeve and supported with a cardboard backing. It is then shipped using a rigid kraft photo mailer envelope to ensure safe travels during transit. 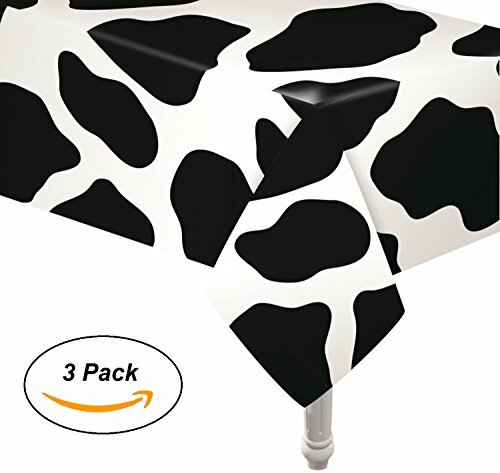 All of our wall decor is printed in the USA and looks great in all types of environments. Whether its displayed in your office, living room or even a child’s bedroom, these art prints are sure to be enjoyed for years to come and make great conversation pieces. If you have any additional questions or aren’t completely satisfied with your item please don’t hesitate to get in touch with us through the contact link on this page and we’ll get back to you as quickly as possible. We also love seeing our prints displayed in the wild so if you have any photos that you’d like to share with us please let us know! This entry was posted on June 19, 2018, in Uncategorized. Ken Griffey Jr. Lithographic Print by Leroy Neiman hand signed by player and artist. 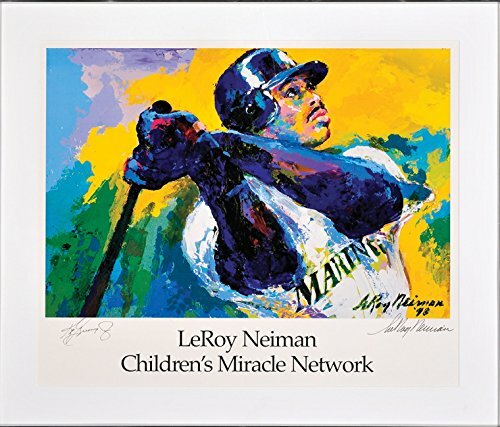 This lithographic print by Leroy Neiman was produced for the Children’s Miracle Network in 1999 as a fundraiser. It is hand signed by Junior and Neiman. This entry was posted on June 19, 2018, in Prints. This entry was posted on June 19, 2018, in Glass. 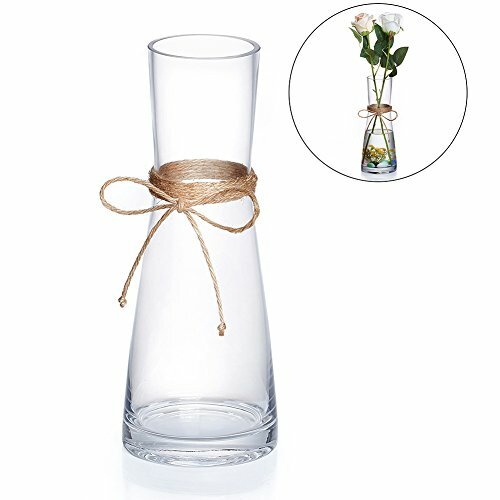 Are You Looking For Delightful Vases That Come In Glass ? Looking For Vases That Are Chic And Pretty And Appeal Straight To The Heart ? Well, Now You Needn’T Search Further ! Because The HakkaGirl Glass Vases Will Come To Your Aid. – This vases have been made using quality materials that it will last in tiptop condition for years to come. Guests will appreciate their cuteness. – All HakkaGirl items are hand-made by skilled craftmans. Reinforced packages ensures items avoids breakage in shiping. 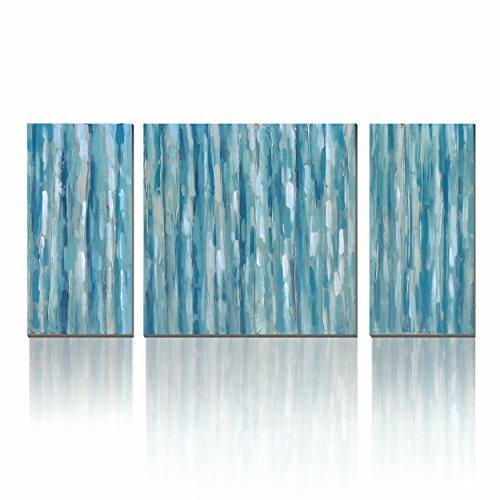 – Eye-catching unique and modern shape style not only perfect for home or office decor, but ideal for a gift ! We DON’T responsible for the other brand’s products. SOLD BY HakkaGirl, FBA !!! REINFORCED PACKAGING: This glass flower vases are packaged with reinforced foam padding in a box to make sure vases come in good conditions. 100% MONEY-BACK: We guarantee you are FREE to return your flower vases and receive a FULL refund of your money, no questions asked. Purchase now with confidence!!! height is 15 cm/5.9 inch, diameter is 6 cm/2.3 inch Material: High boron silicon heat resistant glass. This entry was posted on June 19, 2018, in Sculptures. 100% hand-painted high quality oil painting on canvas by professional artist in Dafen Oil painting village. 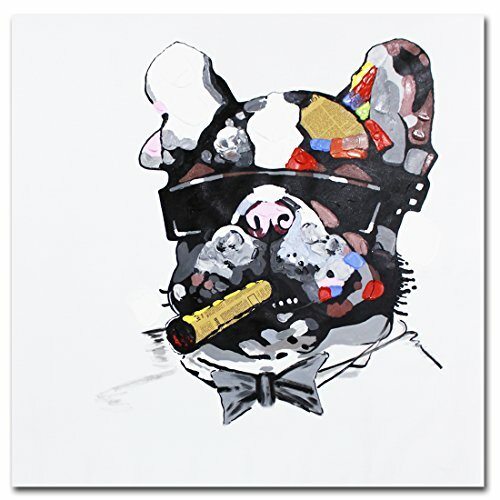 High quality canvas and environmental oil paint or acrylic paint,not printed. The pictures we show on Amazon are taken from real in our gallery.Since it is hand-painted,we can not confirm it is 100% as the pictures show when you get what you order. Paintings are packed in carton box. ✔The bars are kiln-dried to a moisture content below 8% to ensure they don’t warp or shrink. The stretcher bar is 1.25 inches wide and 0.75 inch thick. This design allows minimal cut of the original picture. 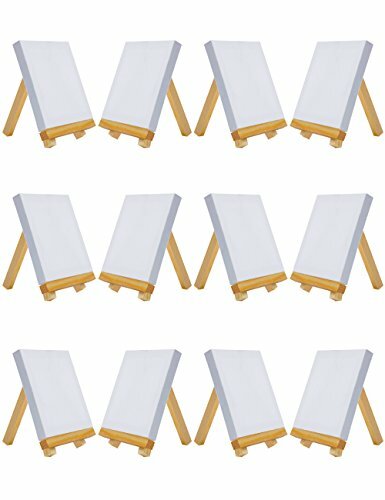 At the same time, the bars can provide strong and stable support to the canvas. ✔Customized Size: Customized bars may show signs of hand cutting, but it doesn’t affect the use. ✔The size you choose is the actual size of the finished product. Please refer to Picture 5 to leave extra space on the canvas for stretching. ✔Enjoy the easy process of stretching your own canvas in a professional way. Should you have any questions regarding the product or installation, please feel free to contact us. Our customer service team is more than pleased to help. This entry was posted on June 19, 2018, in Wood. The storm glass was an instrument devised in the 17th century as a weather prediction device. It is a sealed, drop-shaped glass (ours is 20cm / 8in tall) that contains a special liquid. The state of crystallization of the liquid was believed to be associated with weather patterns, making it a potentially valuable weather forecasting apparatus – especially for seafarers. It has recently been shown that the storm glass is not a reliable barometer, with temperature being the sole driver of crystallization patterns in the liquid. 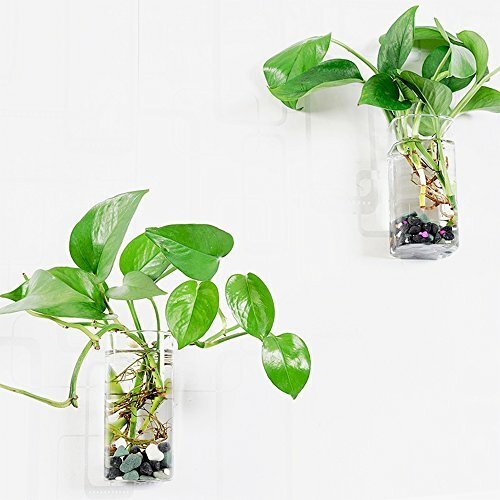 However, the glass has recently started gaining in popularity as a gorgeous, unique home decor item that rarely fails to spark people’s imagination. 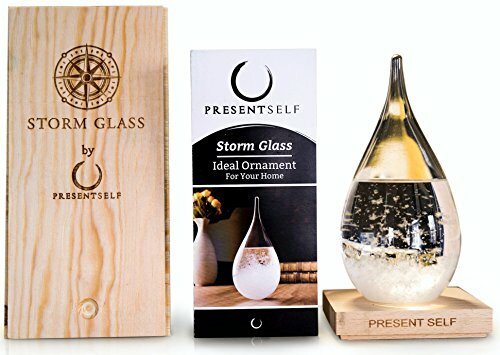 Add to the uniqueness of your abode by placing the storm glass on a dining table, a workdesk, or any other prominent location within your home. It will please the eye on a daily basis, and serve as a fantastic conversation starter when you’re having people over. Check out our product brochure for more information on the history of the glass, and narrate a captivating story of the “FitzRoy weather prognosticator” to your guests to set the mood for your event – whatever it may be. GORGEOUS, REMARKABLE CENTERPIECE – get countless questions and compliments from your guests, tell an amazing story. UNMATCHED PACKAGING QUALITY – our glass is the only one on Amazon that comes in a stunning wooden gift box. 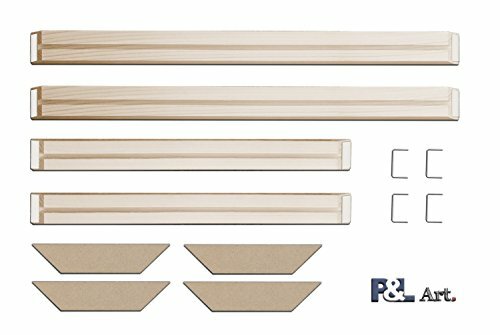 Skip the generic cheap cardboard packaging. EXOTIC, THOUGHTFUL GIFT – perfect for those who like history, meteorology, science, art and design, or simply curious gadgets. PERFECT CONVERSATION STARTER – dazzle your friends with the thrilling history of your “Fitzroy weather prognosticator” and set the mood of the party. FASCINATING PSEUDO-BAROMETER – even though storm glasses are NOT reliable for weather prediction, they make for a perfect gift or home decor centerpiece. This entry was posted on June 19, 2018, in Art.